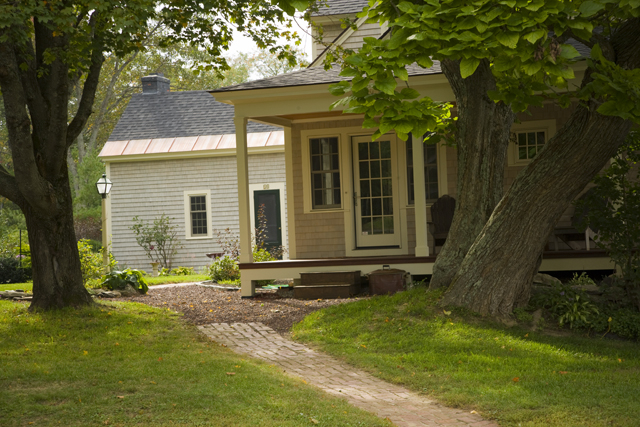 This Early American colonial farmhouse has been in the same family for generations, with an attached carriage house being renovated many years ago. A wrap around porch was added along with dormers and ells facing the magnificent views of New Hampshire’s Mount Monadnock and adjacent horse pastures. Interiors were made contemporary with vaulted ceilings and wide open vistas. A lap pool with green roof completes the project.